Speaking with JOHN LAJOIE, the Parts Manager @ Classic Honda (30 Van Kirk Drive, Brampton, ON L7A 2Y4 - (905) 454-1434) I have been able to get us 15% off on all Honda parts. He will also let me know of any parts promotions going on and I will post it on this thread. When you purchase from there, after you have been quoted a price, please tell them you are with CB7tuner.com and that we have a 15% discount arrangement. here's info on the Dealership in Brampton, ON. Last edited by lokuputha; 09-23-2008 at 10:49 AM. i used to work for those guys!! James, when are you coming back here? Lets do a meet. Hey jas, do you still have a discount with them? I havn't seen you since the last last meet; lets do a Brampton meet. lets do a meet SOON! thanks for the hookup viran. you the man! once I get my car back from the garage we'll do a meet. btw, just bought a master cylinder from Classic Honda for 194 instead of the listed 229...CB7tuner discount FTW! will the cb be ready for c7cruise? yea man...i just got my car last week so i need a few more days to get my car lookin better...im up for a btown meet this month!! yeap, this discount is forever! 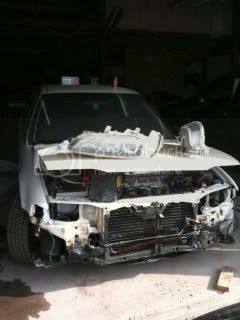 First get an estimate for the parts, when paying, mention the CB7tuner account we have. bump this, several members, including me, have used this discount, and its great. ha glad i found this thread just bought a F22 HG for 72 w/ tax now i can get it for 53 + tax. 4gens are win. It's in the bible somewhere. Bought right and left upper control arms/ball joints and left outer tie road from Classic Honda couple of weeks ago. Saved a ton of money. I also got quoted from Mississauga Honda (TPC discount) but it wasn't as big as the other one. Just mention CB7Tuner.com and there should be no problem. Awesome discount btw! I'm doing a partout of my wagon which has working power steering, which pipes do you need exactly? not really sure whats wrong with it but i know its leaking and the fluid collects in this kinda rack at the bottom, dealership said those pipes are called the combination lines? Hmm, if you come over to the meet maybe one of us can look of it. The meet is on Sept 10th @ Humber Bay Park East @ 1PM.